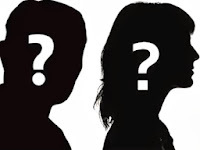 A big star’s wife is fretting and ragind that she gave up an almost affair to dote upon her ailing husband. BUT To her horror she has found that her great big ''sacrifice'' is not only going totally unappreciated but also, her big star hubby wants to live separately after getting better!! Whether they merely separate and live under the same roof cordially(like the other superstar couple, coincidentally also their friends) is what insiders are betting on rather than a clean break. This is as much for the couple’s kids as for a spotless image for the benefit of a very vigilant public eye. While the big star's gigantic PR has fanned out against reports of impending divorce, and has taken to plastering the couple’s ‘happy’ time pictures (which clearly look too contrived) , the icy cold vibes between the once considered a ‘model’ husband and wife were for all to see at a recent mega event. While the big star’s roving eyes is being quoted as the reason for the break, the wife having seen that hubby is not going to change has now clearly seen the light. Sad, how history keeps repeating itself. But who is learning?